The body was the subject of quite a lot of aerodynamic development and has a drag coefficient of only 0.28. There was a lot of emphasis on aerodynamic balance at high speeds as well to assure good handling at speed. The rear quarter panel vents on the Z51 and Z06 models feed a transmission cooler on one side and a rear differential cooler on the other. Not ricer cosmetic vents at all! If the car seems to have a lot of cooling capacity as stock it does. The cooling was validated by blasting all day at full speed on the Autobahn and the Nurburgring. The hot air off the transmission and rear diff coolers routed out of the low-pressure zone in the back of the car through the functional vents near the rear tailights just like a race car. 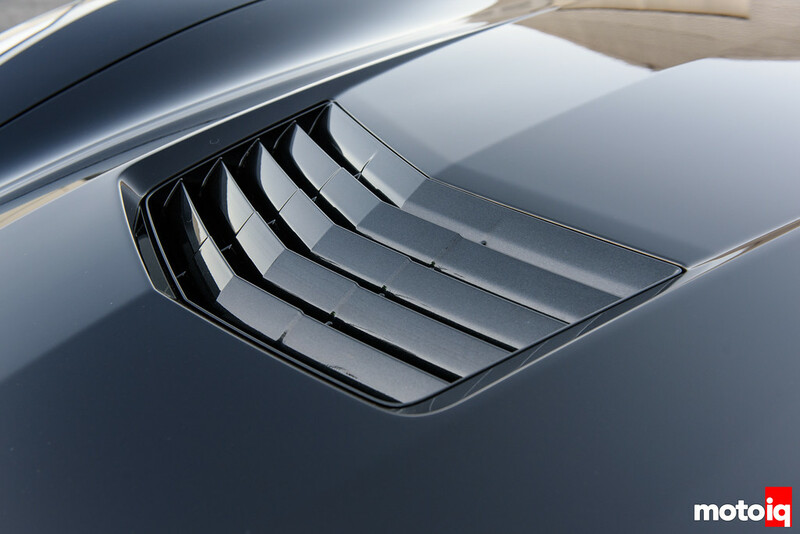 The hood vent allows high-pressure hot air from the radiator to exit over the top of the car rather than backing up in the engine compartment and leaking out of the wheel wells and under the car like how it is in most cars. This helps both cooling airflow and reduces drag. 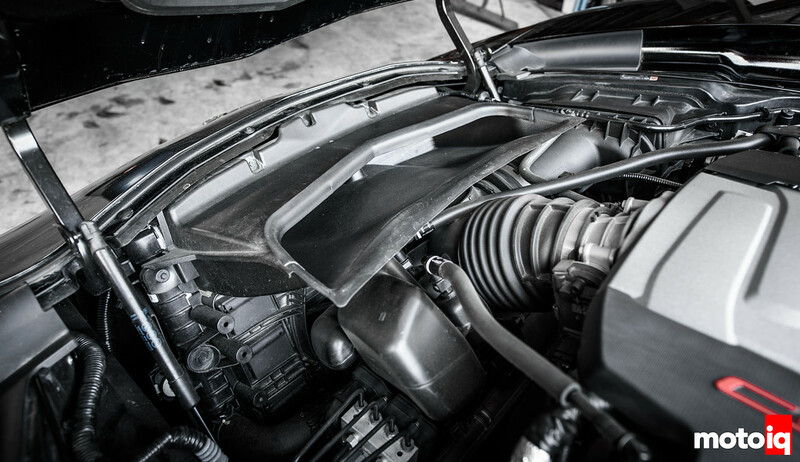 The underhood radiator ducting directs 30% of the radiator air flow directly out of the hood. This is better for aerodynamics. The rest of the air from the lower part of the radiator is allowed to circulate through the engine compartment for thermal control of the underhood components and even the transaxle and differential. That air is extracted from vents in the cars low-pressure areas in the fenders and in the back of the car around the tailights. Some of the air that is ingested by the front grill opening is also diverted to the front brakes to help keep them cool. 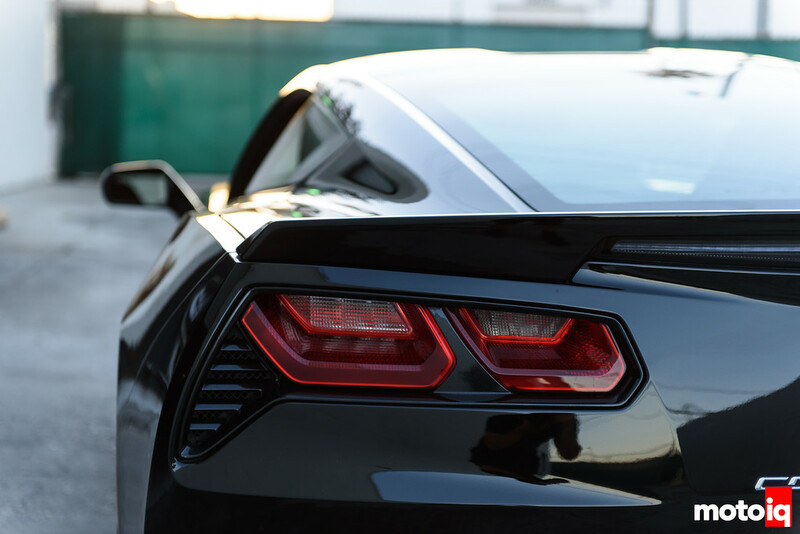 On the C7, every bit of air around, under and through the car is managed to improve cooling, aerodynamics, stability and in some cases all three. In the previous C6, the Z06 got a trick aluminum frame while the base models had a steel structure. For the C7, all models get a sophisticated, all-aluminum frame! The new aluminum frame structure has been subjected to tons of computer analysis and is 57 percent stiffer and 99 pounds lighter than the previous generation aluminum C6 frame. The C7's chassis's torsional stiffness is 14,500 n/m per degree. 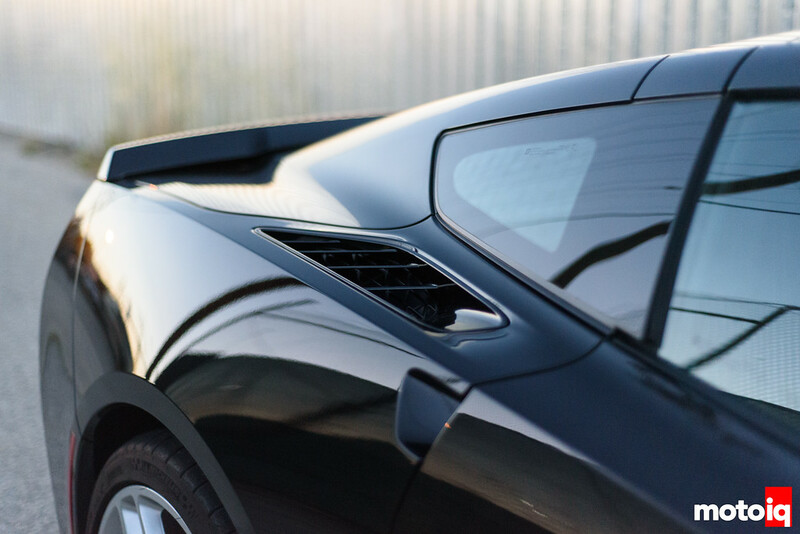 This is really stiff for a car that is designed to have a removable roof Targa top and low side door sills.